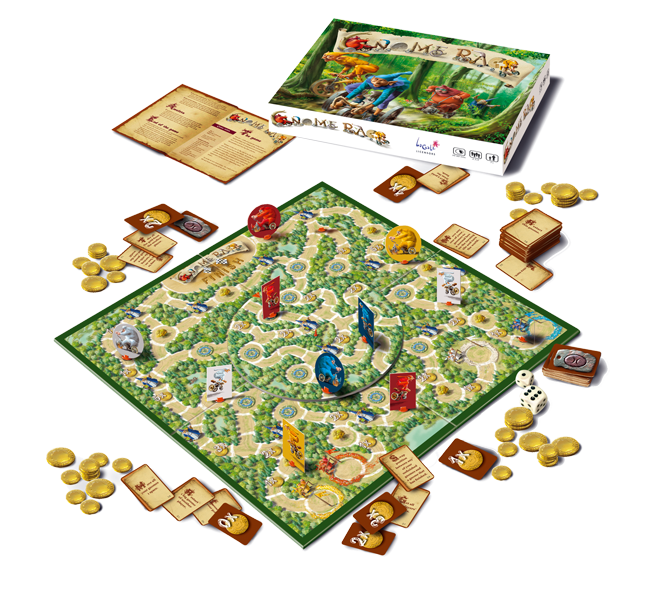 ‘Gnome Race‘ is a 2-4 player board game using the theme of the racing gnomes. You need to be the first to get your entire team to the finish. But beware there are many challenges. Such as the evil wizards that will cast spells on you, the living forest that makes the board come alive. Are you witty enough to find enough gold to bribe the wizards and find shelter under the sacred trees?